See why our guests come back year after year. 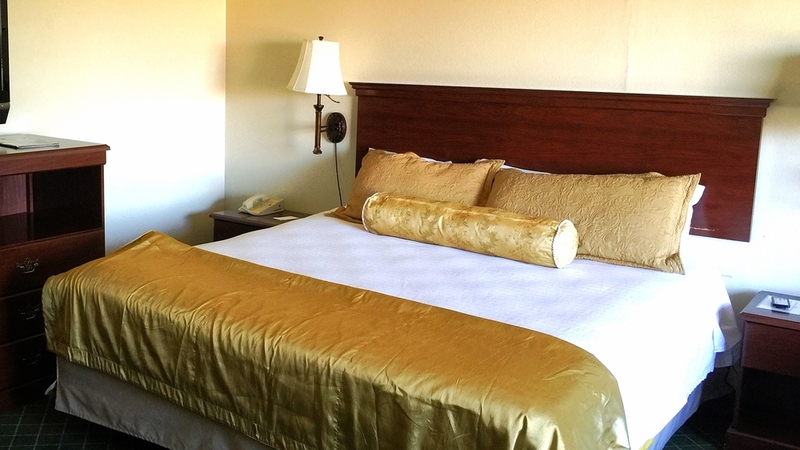 Clean, spacious rooms at reasonable prices. Minutes away from great dining, shopping and sightseeing. Whether you want to drive the scenic route up the coast of Los Angeles, play a round of golf at the world renowned Trump National Golf Course or just stay the night before a cruise. The only hotel on the harbor in San Pedro, California. We are across from the USS Iowa Battleship, Maritime Museum and Ports O' Call Marketplace. Our hotel is the closest to the World Cruise Center where most major cruise lines dock. Parking for the duration of your cruise. Shuttles service to and from the Port of Los Angeles and Long Beach.